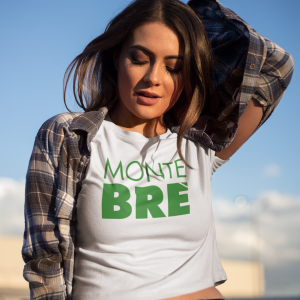 Save Monte Brè by advertizing our cause with us. If you live in the Sopraceneri, any banner you hang, any t-shirt you wear, or any sticker you place, may be seen by the right person at the right time, and save the mountain. 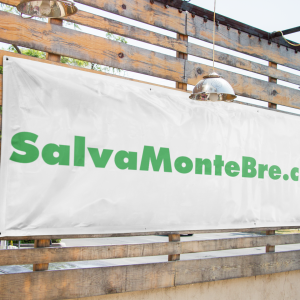 CHF29.00 – CHF89.00 Our banners are a fantastic tool to promote our just cause in the region. 4 sizes. 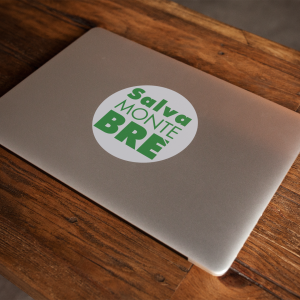 CHF1.00 Our stickers are an excellent and discreet way to display solidarity for the mountain. CHF29.90 Our beautiful T-shirts are available in 2 models, 3 colours and 5 sizes to choose from.